Half-Life 2 was first Done Quick ten years ago. A team calling themselves HL2DQ managed to reduce Valve’s masterwork to a scant hour and a half, and for a long time that was the standard. As with any world record, however, what were thought to be limits were eventually exceeded. Is Half-Life 2 still the best FPS on PC? The discovery of a glitch last year inspired another group to better HL2DQ’s effort. 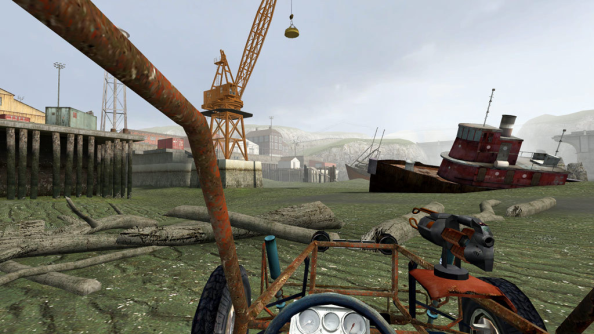 Entitled Half-Life 2: Done Quicker, the new run is made up of 506 segments and totals 40 minutes 49 seconds. The SourceRuns Team worked with a clipping method that allows Gordon to hop up into the ceiling – vents or no – and exit any map from the top. He’s then able to re-enter the level from below in a more advantageous position. Some runners provided less than 70 seconds of footage; others tens of segments. Together, they’ve put together something quite flabbergasting. The run was debuted at the weekend on the Games Done Quick Twitch stream, where all subscriber revenue will be donated to – wait for it – Doctors Without Borders. Top marks for wordplay, and also for supporting an international medical humanitarian organisation providing aid in nearly 70 catastrophe-affected countries. Are you speedrun fan? What do you like about these creative cheats?